When will be Nick's Wild Ride next episode air date? Is Nick's Wild Ride renewed or cancelled? Where to countdown Nick's Wild Ride air dates? Is Nick's Wild Ride worth watching? 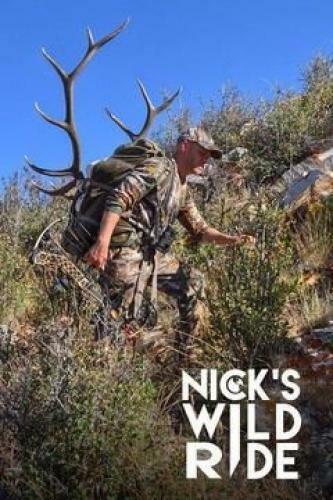 On Nick's Wild Ride join Country Music Artist Nick Hoffman as he travels the world to explore the sights, sounds, food, culture, and music of the places he hunts and fishes. You never know what will happen when Nick gets his hands dirty as he digs deep into what makes these places tick. Nick hunts for non-typical species in non-typical places and soaks up whatever craziness comes his way in the process. Nick hunts Kentucky for turkeys on his home turf and travels down the legendary "Bourbon Trail" in search of the story and characters behind the legendary liquid. Nick explores Bowling Green, Kentucky, home of the Corvette. Nick has a dream come true as he takes his Corvette onto a race track. He visits the Corvette factory, the National Corvette Museum and hunts for Kentucky whitetails on his home turf. Nick and his dog, Waylon, join Pheasants Forever in his home state of Minnesota and hunt pheasants where he grew up. He visits the small town he grew up in and a local bakery where the ladies put him in an apron, and a GAS MASK and put him to work. Nick heads to South America in search of what makes Montevideo, Uruguay so special… Then he heads out of town to hunt dove and perdiz. Nick learns southern tradition in Tennessee's Land Between the Lakes. He hunts with hounds in the back woods looking for raccoons with his Kimber Pistol. He gets lost and found in the dark. He eats local food and learns to make moonshine. Nick's Wild Ride next episode air date provides TVMaze for you. EpisoDate.com is your TV show guide to Countdown Nick's Wild Ride Episode Air Dates and to stay in touch with Nick's Wild Ride next episode Air Date and your others favorite TV Shows. Add the shows you like to a "Watchlist" and let the site take it from there.